Considering its mighty exterior dimensions, it’s no surprise the VW Amarok has excellent load-carrying ability. There is 2.52 square metres of load area behind the cab, which is enough space to slide in a standard-sized pallet, let alone a smaller Euro pallet. The loading bay compares favourably to the class rivals, being slightly wider than the upmarket options from Mercedes and Ford. That said, the differences are marginal and measured in a few millimetres. The sidewall height is one of the highest on offer, though, measuring taller than both those rivals. 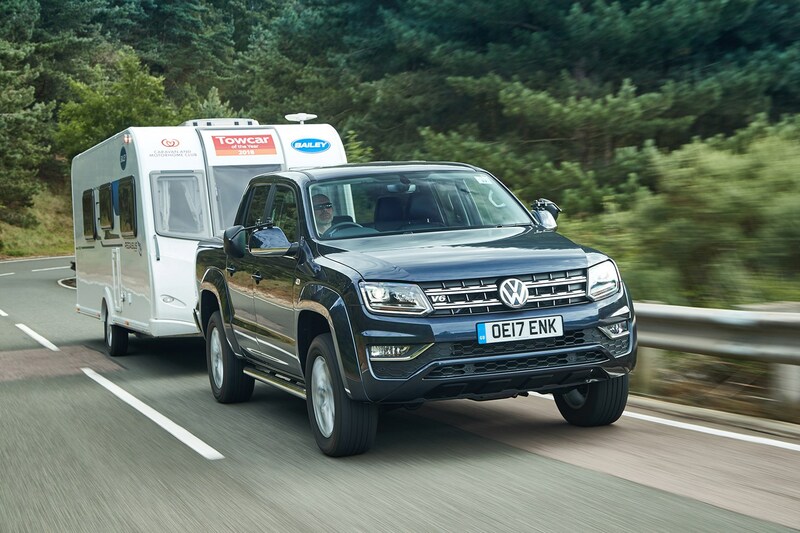 There is only the one size and shape of Amarok available – this model is all about the lifestyle that goes with having a second row of seats that can take full-sized adults, so there isn’t a single cab or extended cab option. Since the 2016 facelift, all Amaroks are now fitted with heavy duty springs and all now have a payload capacity of over 1,030kg. The previously-offered softer suspension models can only cope with 862kg. There isn’t a wide range of payloads, but the model that offers the biggest carrying capacity is the 204hp eight-speed auto model in Trendline trim. Towing capacity is limited to just 3.1 tonnes (3.0 tonnes for the V6 manual), a long way behind the 3.5-tonne capability of the strongest rivals.